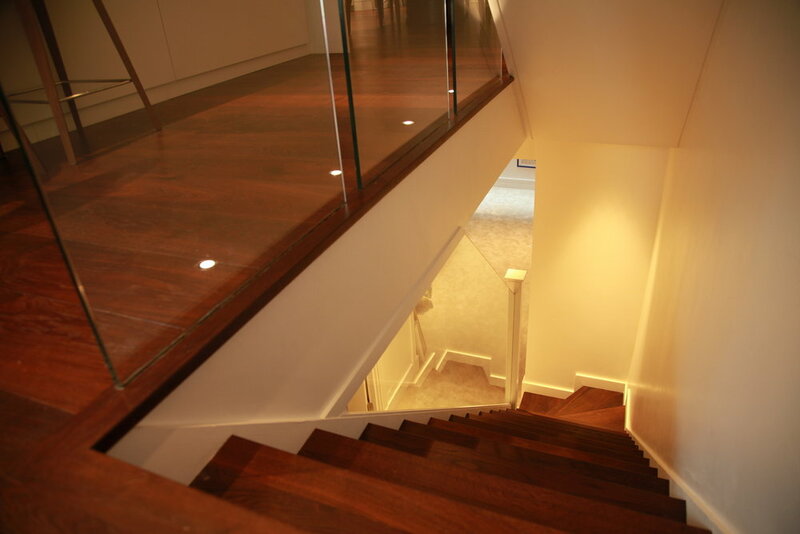 A few pictures of a completed project in Chelsea. We supplied an external Glass Floor, Shower Screens and Mirrors, an internal Glass Floor.. .but the stand out item was the custom glass stair balustrade we supplied and installed.... Floor to ceiling glass panes, on glass dowels fixed into the stringer.... delighted with the end result!